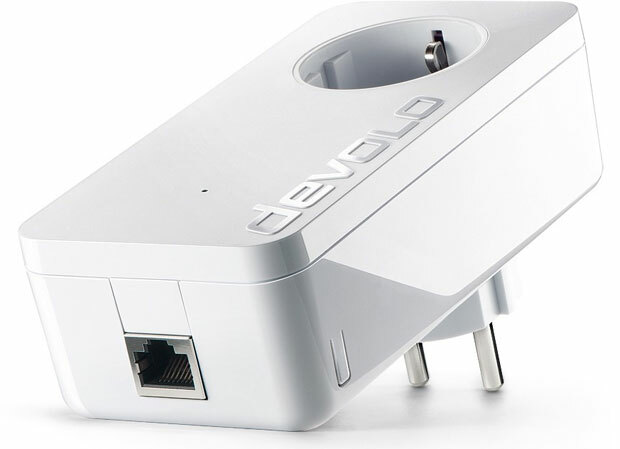 By combining its devolo range+ Technology and the newest Powerline chip technology Devolo said their newest powerline ethernet adapter (dLAN 1200+) can offer data transfer rate at up to 1200Mbps. As one of Europe’s leading networking company Devolo prides itself in offering the latest in powerline communication solutions. The dLAN is energy smart, it uses a maximum of 4.2 watts and if the connected device is switched off the adapter automatically goes into standby mode and saves even more energy working with 0.7 watts. It is compatible with previous versions of dLANs models (dLAN 200, dLAN 500 and dLAN 650) plus other Powerline adapters that are HomePlug AV2 compliant. To protect your data and privacy users are encourage to activate the 128-bit AES encryption by touching the button.